…had a big lady day where a bunch of us met up for brunch at Bub City (holy green chili scrambler!) and then to see 50 Shades of Grey. 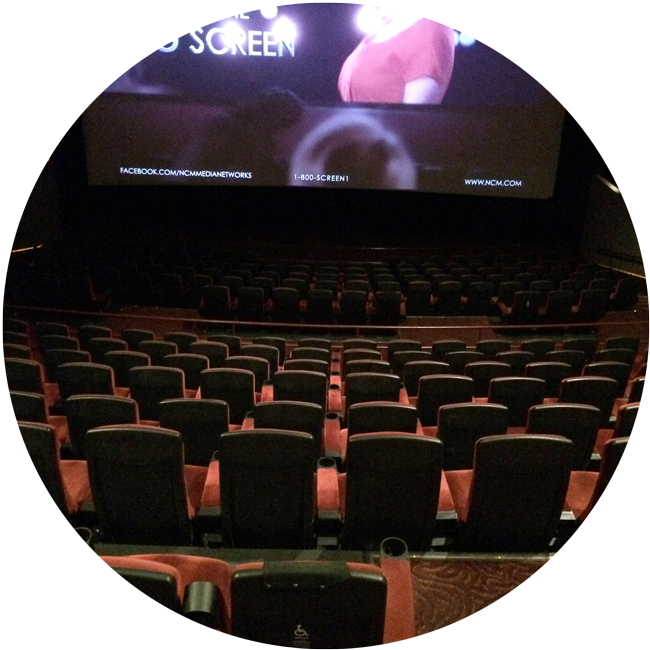 If you can't tell from the photo, Sunday afternoon was not a very popular showing haha. Oh, and P.S., I was expecting the movie to be bad, and it somehow managed to exceed my expectations for terribleness (and made the little feminist lion within me quite agitated). …watched all of the Oscar pre-shows and then none of the Oscars, because that's how I roll. …took the coldest walks of all of the walks around my neighby, when is spring coming again? Hot green chili scrambler? Be still my heart! Sounds like a fun and fabulous weekend. Cake cake cake, who doesn't like cake. Ugh 50 Shades made me crazy, that last scene was basically abuse. Happy early birthday! Week celebrations are the best. Happy Birthday week!! I'm not planning to see that movie, from everything I've heard about it and the books and the writing I have a lot of trouble understanding how it became so wildly popular. Happy early birthday!!! yay for birthday celebrations!